Caron Chiropractic Clinic is conveniently located in both St. Paul, MN and North Oaks, MN. We are proud to have a highly trained staff of professionals who are dedicated to improving the lives of our clients. Our services are custom tailored to fit the individual needs of each patient to walks through our doors. The team is led by the expertise of Doctors of Chiropractic Martin Caron and Matthew Caron. Our experts include Licensed Chiropractors, Massage Therapists and a Licensed Acupuncturist, as well as other therapy professionals. Nothing evokes the thought of Relaxation and Stress Relief as much as a professional massage. There are many different massage techniques at Caron Chiropractic Clinic, just as there are many different reasons for seeking the healing benefits of massage therapy. Patients at our St. Paul, MN clinic can find the best type of massage for their situation by visiting one of our certified massage therapists. Not all massage techniques are beneficial for each patient and some patients find relief from a variety of massage therapies. 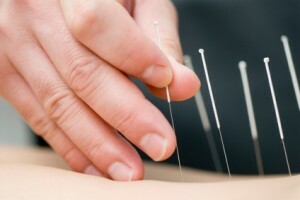 Acupuncture is a key component in Traditional Chinese Medicine dating back 4,000 years. The Chinese have described acupuncture as a technique that balances the flow of energy known as chi or qi. A professional acupuncturist inserts sterilized, hair thin needles into specific points to allow rebalancing of the energy flow or to stimulate nerves and muscles. It has been widely accepted and used in Western Medicine for the life enhancing results in relief from pain and over 40 diseases and conditions. Dr. Timothy Graff at Caron Chiropractic Clinic in St. Paul, MN is licensed for Professional Acupuncture and Chiropractic Care. When you are injured in an accident or through repetitive strain, it is important to have your injury evaluated by a Licensed Chiropractor. Doctors of chiropractic go through rigorous medical training with an emphasis on spinal and soft tissue issues. At Caron Chiropractic Clinic, P.A. we treat all types of spinal problems along with muscular, tendon and ligament damage. Our St. Paul, MN clinical staff includes Licensed Chiropractors, Certified Acupuncture Specialists and Licensed Massage Therapists. We are prepared to assist you in the healing of your injury. The Doctors of Chiropractic at Caron Chiropractic Clinic, P.A. use a holistic healthcare approach. We believe that each individual is unique and deserves a care plan tailored to their individual needs. Without the use of drugs or surgery, our licensed professional chiropractors will work to retrain your body to heal and take care of itself. An unbalanced body structure is more susceptible to pain, illness and fatigue. Our St. Paul, MN clinic offers rehab solutions with a Rehab Facility onsite. What do you think of when you think chiropractic? Probably a good back cracking, right? Well, you are about half way correct but did you know that Caron Chiropractic of St. Paul, MN offers so many more treatments and therapies to help you with more than just an adjustment? I know it sounds crazy, but it’s true. Did you know that chiropractic care benefits your entire family? Whether your family starts at age 3 and ends at age 80, the benefits for all of you are crucial to your health and functionality. Here at Caron Chiropractic, we have many different treatments to choose from and we make sure each family member gets the treatment they need. Most people don’t know the benefits of starting early, in fact, the earlier the better. Chiropractic care is a safe and natural health care approach versus physicians who are more likely to jump to medications, that are only going to cover up the problems. Not one body is the same, you may have a bad back just like your co-worker or perhaps a family member but treatments are going to be completely different for each of you. That’s why choosing our licensed doctors of chiropractic at Caron Clinic is the right choice for everyone. 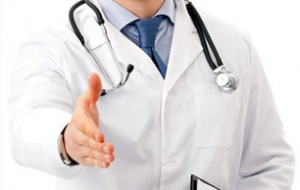 We offer numerous amounts of treatments and handle each persons healthcare needs differently.